UPDATE: The legislation was approved November 19, 2013 on second reading, 6-5 (Supervisors Chiu, Cohen, Farrell, Tang, Wiener and Yee voting yes). 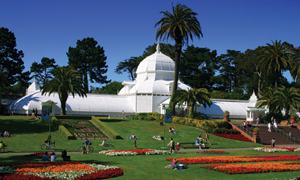 In July 2013, Supervisor Scott Wiener introduced legislation setting uniform park closure hours -- something San Francisco parks lack but common in all other major U.S. cities. Under the proposed legislation, the parks would be closed between midnight and 5 a.m., except with certain exceptions. To learn more, please see the fact sheet and legislation digest/text below. The Parks Alliance is strongly supporting this legislation, and we urge park lovers to contact their Supervisors to ask them to support Supervisor Wiener's legislation at the Land Use & Economic Development Committee, and later in the month at the full Board of Supervisors. A sample letter to download, edit and send is also provided below.